Gardens have been a major source of inspiration to Evans throughout her entire career. This upcoming exhibition acts as a retrospective of her garden paintings. 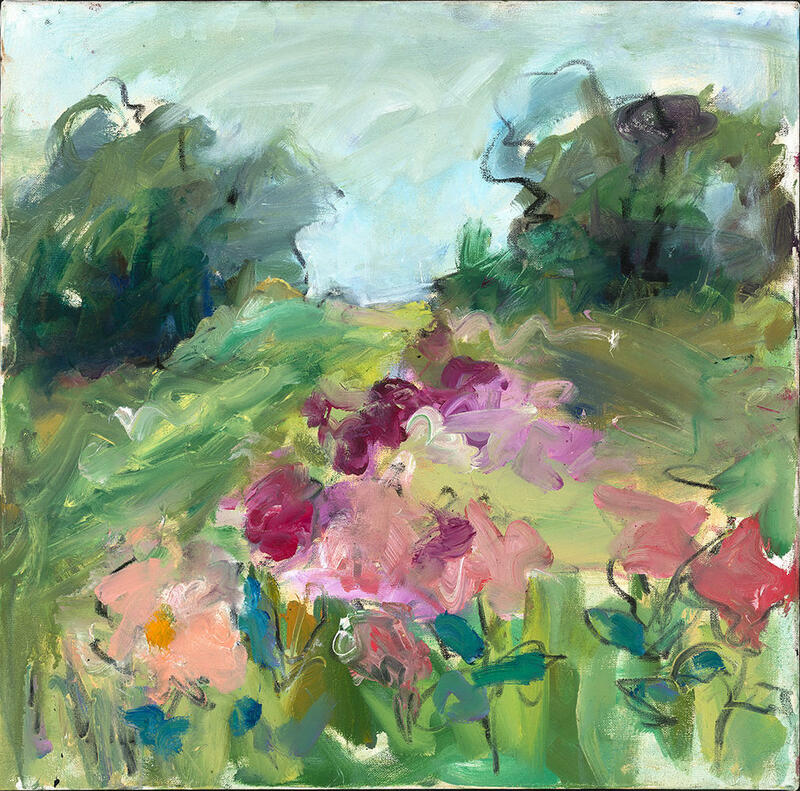 Gardens she painted with Joan Mitchell, water gardens painted in Giverny, and her most recent paintings from private gardens in the Wilmington area. Evans uses expressive color and line to evoke the ephemeral quality of movement and light found in the natural world. She works directly from nature seeking to capture the essence of the particular places she paints, returning again and again, chronicling them in different moods and seasons. Evans has been honored with solo exhibitions in major galleries in Washington D.C., Florida, and Pennsylvania. Evan’s work was the focus of a retrospective show at the Delaware Art Museum in 2012. Her paintings and drawings are in public, private, and corporate collections, including the National Museum of Women in the Arts, the Delaware Art Museum, and the Eleanor D. Wilson Museum at Hollins University. She studied at the Art Students League in New York and the Corcoran School of Art in Washington, D.C. She has lived in Delaware for nearly 50 years with her husband, former Delaware Congressman Tom Evans. 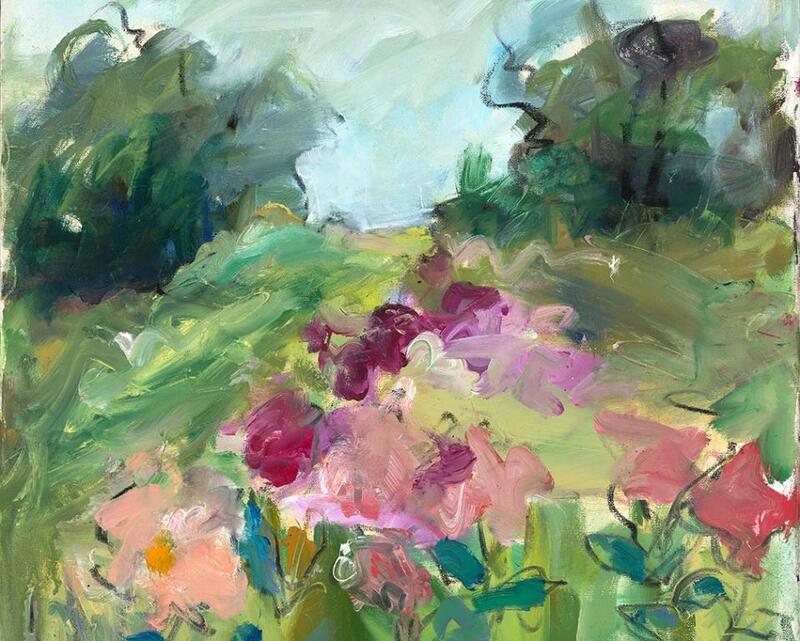 Somerville Manning Gallery is pleased to present a solo exhibition of paintings by Mary Page Evans, on view May 10th through June 8, 2019. An opening reception for the artist will be held on Friday, May 10th from 5:30-7:30 p.m.